We had snow on Christmas Day! First time for a white Christmas in Portland in about 70 years, according to the news. 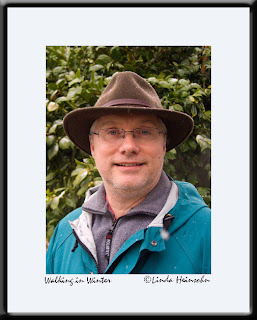 My husband, Hugh, rarely poses for me but he allowed this photo while we were walking in the snow that day.